An off-air antenna is a product people use to receive over-the-air signals from broadcast TV stations. In order to use an antenna, your television must have a built-in TV tuner or you must have an external tuner connected to the antenna and television. There really is no such thing as a digital or high definition antenna. The Federal Communications Commission (FCC) says that anyone owning an antenna that is capable of receiving analog signals should be able to use that same antenna to receive digital signals. As a result, it's suggested that you try using your old antenna before buying a new antenna marketed toward HD reception. If your current antenna doesn’t work then you might need one with amplification, which helps the antenna pick up a better signal. Amplified antennas electrically increase the ability to receive a weak signal. These antennas are especially good for people living in rural areas because the incoming signal might need a boost. One could argue that a $20 indoor antenna works just as well as a $100 roof-mount model. It all depends on where a person lives in conjunction with the strength of the signal coming from the TV towers. According to Antenna Web, a site managed by the Consumer Electronics Association, good antenna selection is not just based on distance from the transmitting station. It's also based on accurately characterizing signal conditions and selecting an antenna that works in that situation. Antennas are either indoor or outdoor. By indoor, this means that the antenna is inside a residence. As such, outdoor antennas will mount on the roof, on the side of a residence or in an attic. Both types of antennas ability to receive a good signal rely on the distance from the transmission tower and any obstacles that lie between the antenna and the tower. Outdoor antennas are usually more powerful than indoor antennas so they are generally more reliable. Most antennas will receive UHF, VHF, or both types of signals. UHF and VHF are similar to AM and FM on the radio. So, it is critical to choose an antenna that meets your needs. If you desire channel 8 then you’d want to get an antenna that receives VHF. The same would hold true for UHF and channel 27. The Federal Communications Commission says that the VHF band is between channels 2 and 13, or frequencies 54 - 216 Mhz. UHF signals cover channels 14 through 83, or frequencies 300 - 3,000 Mhz, though the higher numbers have been or will be reallocated with the digital transition. There is a common misconception that all digital or high definition signals fall within the UHF bandwidth. While UHF may contain many of the digital signals, there are digital and high definition signals on the VHF band. That is why we recommend using the antenna selection tool at AntennaWeb.org. Antenna Web is operated by the Consumer Electronics Association. The site is designed to help people locate the best antenna for their area based on their United States address and/or zip code. The only downside is that Antenna Web will only recommend outdoor antennas for your area. So, you’d have to compare the outdoor antenna recommendations with what’s available in an indoor model. It’s critical to consider the distance from the transmission tower and any obstacles that lie between the antenna and the tower. These factors also affect outdoor antennas, but it is more critical to pay attention to these details since indoor antennas are rated equally by the Consumer Electronics Association. There isn’t a specific mileage that determines if an indoor antenna will work for you. If you live within the city limits or possibly the suburbs of the television station then you will likely be able to use an indoor antenna. Scenario: You live in a medium-sized market and use an indoor antenna. You get all of my OTA broadcast stations in digital high definition and analog without issue except for NBC, which is hit or miss with the signal. Obstacles can be mountains, hills, buildings, walls, doors, people walking in front of the antenna, etc. These create havoc with TV signals and impact the reliability of signal reception. Scenario: Reception for your local NBC station is hit or miss. But, you noticed that if you configure the ‘rabbit ears’ just right, get the right atmospheric conditions and open the front door or blinds, ​then it comes in without issue. The door and blinds would be considered obstacles in your reception. Also, reception cuts in and out on many stations when someone walks in front of the antenna. Indoor antennas are rated the same by the Consumer Electronics Association (CEA) but that doesn’t mean they all perform the same. This is because indoor reception can be inconsistent. So, when an indoor antenna is approved for consumer use by the CEA you should see a CEA checkmark logo on the product packaging that CEA’s disclaimer stating that the antenna "meets or exceeds CEA performance specifications for indoor antennas." Will an Indoor Antenna Work for You? An indoor antenna can work for you. But use caution when buying an indoor antenna because it might not pick up all the stations in your area or it might require frequent adjusting depending on the station desired. Our advice is to go to AntennaWeb.org to see which type of outdoor antenna they recommend for your specific address. Then you can compare the outdoor antenna recommendations with what’s available in an indoor model or at least get an idea of where the transmission towers exist compared to your residence. This should help you decide if an indoor model is right for you. Outdoor antennas are products you install on your roof, in an attic or on the side of your residence. Outdoor antennas come in two varieties, directional and multi-directional. Directional antennas must point toward the transmission tower to receive the signal while multi-directional antennas can receive signals when not pointing toward the transmission tower. This is a point to remember when selecting an antenna because if you choose a directional antenna and need multi-directional then you will not receive some stations. The colors are designed to help select an antenna without having to compare specifications between models. In other words, yellow-coded antennas should perform consistently with each other. The same holds true for green, blue, etc. Our advice is to go to AntennaWeb.org to see which type of antenna they recommend for your specific address. The site is designed to help people locate the best antenna for their area based on their United States address and/or zip code. Antenna Web will only recommend outdoor antennas for your area. Antenna Web really makes choosing an outdoor antenna within the United States quite easy. It could also be helpful if you live in an area bordering the USA as long as you use a USA zip code. Should you enter your email then uncheck the boxes for future contact if you don’t want to receive electronic information from CEA. After clicking the submit button, you’ll be directed to a results page. This page will display a list of antenna types and stations picked up in your area with that type of antenna. You have the option to sort by all, digital or analog-only TV stations. We recommend sorting by digital because this is the future of antenna reception. The list of antennas has some important fields to review, like frequency assignment of the station (the channel) and compass orientation, which is the best direction to point your antenna to receive that particular station. You can also view a map of your address that shows directions to point the antennas. Once you know what type of antenna you need, check back for some recommendations on indoor and outdoor antennas. Complete the short form: The only necessary field you must complete is the zip code but the form has optional fields to input your name, address, email, and phone number. In theory, you will get a better report by entering your address information. Answer the question about the obstacles in your area. Choose the type of housing to get the best results. An antenna can provide a service to anyone. Even if you subscribe to satellite, you can also use an antenna to receive local broadcast stations. Benefits of using an antenna include not having to pay for premium high definition service, and receiving a reliable signal during severe thunderstorms. These are just a couple of examples of what an antenna can do for you. Really, the benefits are what you make of them. By using an antenna you get access to your local broadcast TV station’s free analog and digital (HD) signals, though access to analog ended on February 17, 2009. Another benefit is that in some markets you might be able to receive local channels that aren’t offered by your cable/satellite provider. Or, you might receive out of market stations from a nearby city or town. 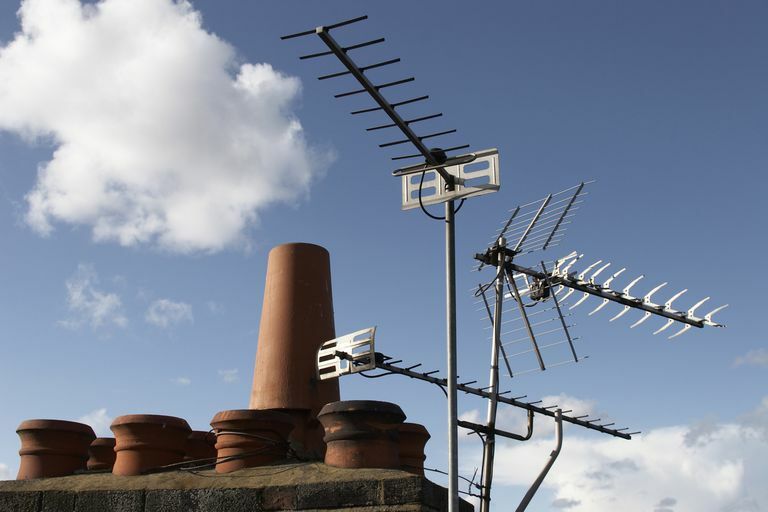 An antenna can give you security knowing that you have access to programming should your cable or satellite reception fails. Receiving over-the-air signals is free, which means you don’t have to subscribe to your cable or satellite provider’s HD package to watch local channels in the digital or high definition. What Happened to the Aereo Over-The-Air TV Viewing Service?